Along with a polite chat, potential 2016 rivals Jeb Bush and Mitt Romney will also exchange gifts when they meet in Utah Thursday night. 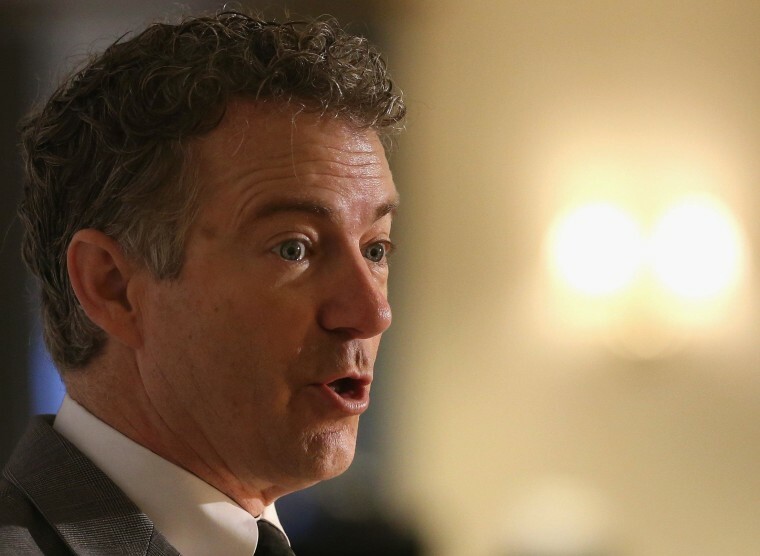 Well, that’s at least according to another Republican eyeing the presidency: Kentucky Sen. Rand Paul. Paul took to Twitter to poke fun at the two former governors who may soon be competing to become the top establishment Republicans running for president. Word is there will be a gift exchange between Jeb Bush and Mitt Romney at their meeting today in Utah. But Paul deleted one of his digs at their support for common core education standards because he misspelled "friendship" in the graphic.